LepideAuditor keeps you aware of any potentially damaging changes place in your systems to help you maintain access to systems and data. Auditing user permissions and accesses to data and systems is the key to maintaining uptime and governance. Doing this through manual methods can be difficult, if not impossible. LepideAuditor makes this complex task easy with its centralized auditing of different server components such as Active Directory plus Group Policy, Exchange Server, SQL Server, SharePoint, Windows File Systems, NetApp Filer, Office 365 and Dropbox. 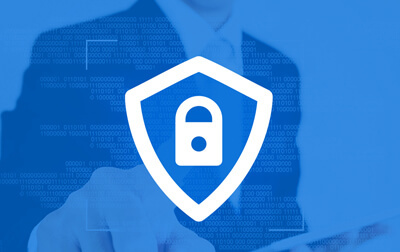 It is of utmost importance to audit accesses made to the data you consider sensitive. LepideAuditor audits all accesses made to files and folders in Windows File System and NetApp Filers. It monitors whenever a file or folder is read, created, modified or deleted. Our solution sends real-time alerts whenever a critical change is detected related to sensitive data. By far the most common method of communication in organisations all over the world is through Exchange Server. So, what if someone is accessing your mailbox and reading critical business emails? 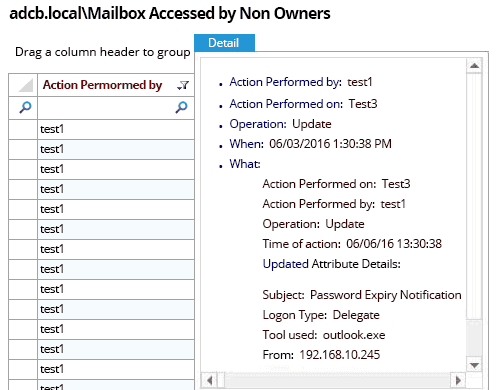 LepideAuditor provides different reports to show who is accessing your mailbox. You can check all accesses to mailboxes, by non-owners or delegated users, in a matter of clicks. 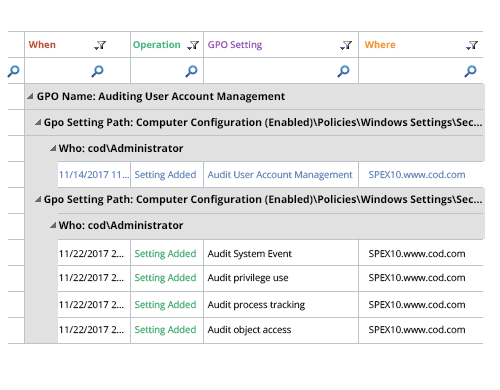 LepideAuditor audits changes in permissions of all server components. It displays when a permission was changed, added or removed. 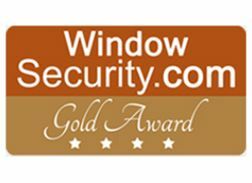 The solution also provides Historical Permission Analysis of Active Directory, Exchange Server and File Server. 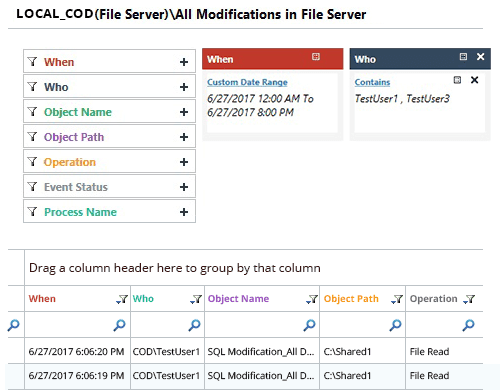 You can compare the permissions of an object between two dates and display all permissions to an object on any given date. 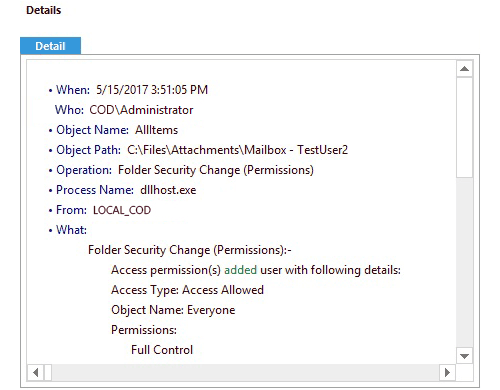 With Current Permission Reports, you can check permissions of users on shared files and folders. 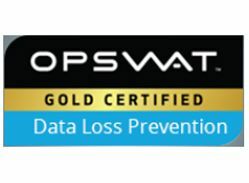 It is important to know which users are logging on to a computer storing critical data. LepideAuditor provides complete details in pre-defined logon/logoff reports. 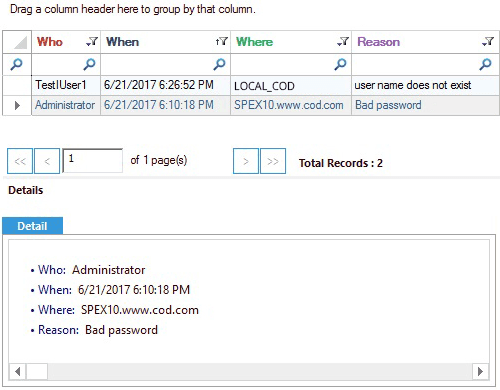 This allows you to check when a user is logging in and logging out from a computer. 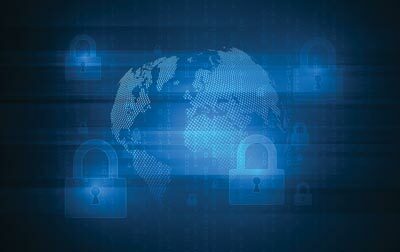 All failed logins are also collected in a report to show attempted unauthorized access to any computer storing critical data. 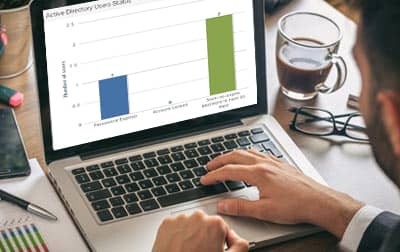 If you have made different group policies to control accesses made to data and computers, LepideAuditor can help you actively track and monitor them. It displays every change made to Group Policy Objects and sends real-time alerts to you when critical changes take place. 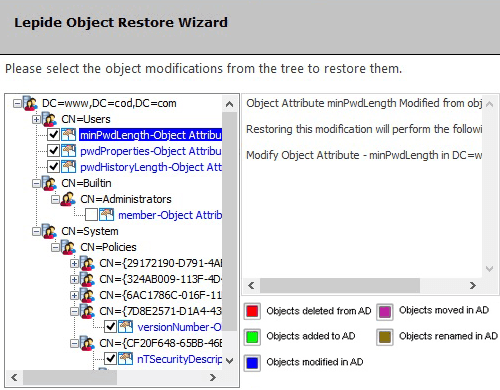 You can also use the Object Restore Wizard to restore a Group Policy Object to its last known good state. Permissions are mostly granted through groups and organizational units. LepideAuditor lets you track all changes made to users, groups, organizational units and permissions. When detected, you will be notified through real-time or threshold-based alerts sent to you via email or push notification to the LepideAuditor App. Once notified, you can use LepideAuditor to restore these changes using state of the art proprietary object state restoration technology. All permission changes can be reversed within minutes.